Social media is dominated by just a handful of social sites. But are we limited to just using the big sites like Facebook Twitter, and Instagram when building a brand or promoting a business? Of course not. In fact becoming an early adopter on a Social startup can prove to be a very good move indeed. Of course, you have to choose the right startup. You are going to put effort into building a presence on a new site. Effectively you are looking to do is to become established on the next big social site. In this article, I am going to compare the very well established and Facebook backed Instagram with The8App. For those of you who don’t know, The8App is a new social app and website hailing out of New York. The8App has really taken the best bits of all social sites and merged them into one social platform. 8App is a very visual site just like Instagram but with some big differences. Have a look at my very crude attempt at an Infographic i have created to highlight the main differences. From time to time, you might find interesting content on Instagram or The8App that you might want to share to your own profile feed. With Instagram you either have to screen capture the content then create a new post and give credit in the form of a mention to the owner or you need to download a 3rd party app or use a service like Hootsuite or Instamate to repost or as Instagram refers to this process, Regram the content. With The8App you just click re-post. A dialogue box appears for you to add a comment if you wish and then you just submit and it is sent to your 8App feed. The8App wins big on this function. With Instagram you have the option of sharing to Facebook, Twitter, Tumblr, Swarm and Flickr but you can only share to these services as you publish and not after. If you want to share to other platforms then you’re going to have to screen capture and the sharing process becomes very manual. With The8App you cannot auto share as you publish. This is a good thing because when you share, the content that you share is a direct copy of what you publish. Sharing after allows you to change the message for the specific platform you share to you. You often see Instagram shares on Facebook with a stack of hashtags attached and that is because they carry over when you share and if you don’t want them to you then have to go to Facebook and edit the post and remove them. With The8App you are not limited to just 5 sharing options. 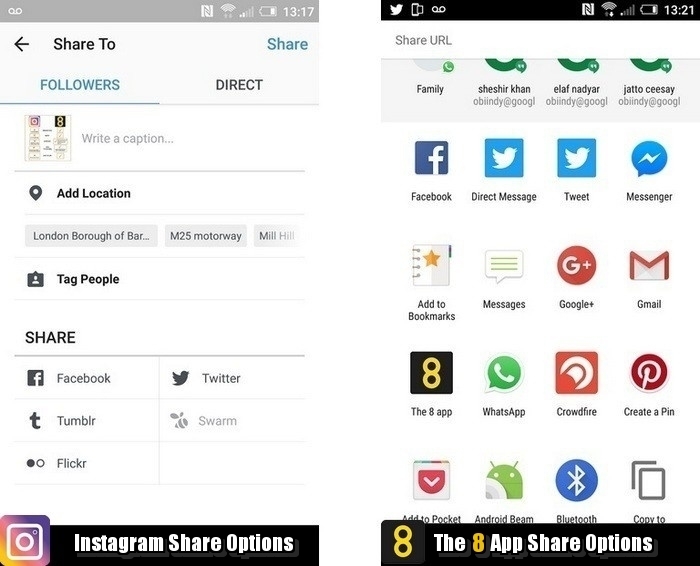 You can share to any number of social platform apps if they are installed on your phone. Simply click share after you have published and select where you want to share to. You can also share to Whats App and Messenger which is also very useful if you have chat groups. Sharing other members content is also very easy, you just click the share icon and again you get all the options as shown above depending on the services installed on your mobile. You can’t share other members content on Instagram other than by making screen captures and manually sharing or using 3rd party sites and apps to re-gram (share). With Instagram all content you add has to be square in format and that includes videos. Now that’s fine if you are recording straight to Instagram. But what if you want to load a pre-recorded video or a YouTube video. Well, when you load a pre-recorded video you will find the aspect ratio changes to fit in with the Instagram square format. So again you will need a 3rd party app to fix this. 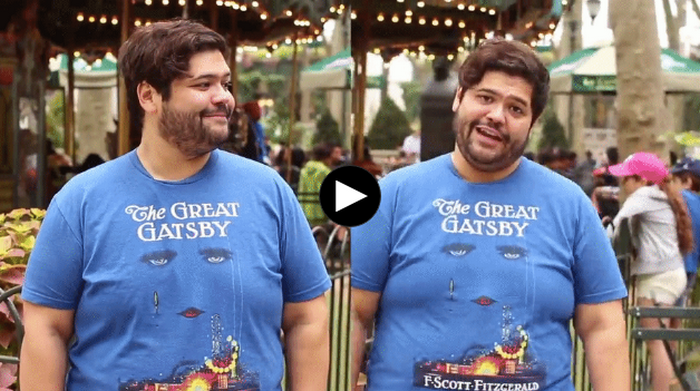 When you do finally get the YouTube video to your camera roll, you then find the aspect ration is more than likely wrong. 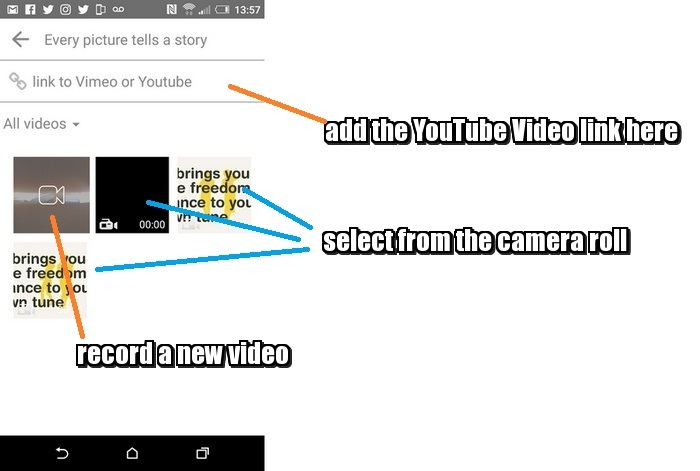 With The8App all you have to do is add the YouTube video link to the box provided. There is no downloading, or converting to add YouTube videos to The8App. 3rd party apps and sites are not required. It is just really easy and straight process. I don’t know about you but I love creating and sharing from my laptop directly to my social channels. This is not possible on Instagram unless again you use a 3rd party service like Instamate. With The8App you just go to the 8App desktop version, create and share. Clearly, members want more functionality on Instagram. That is why there are just so many apps and services that provide what is required. Developers are getting rich from creating clever programs and services because the best workarounds often cost money. This is not the case on The8App. 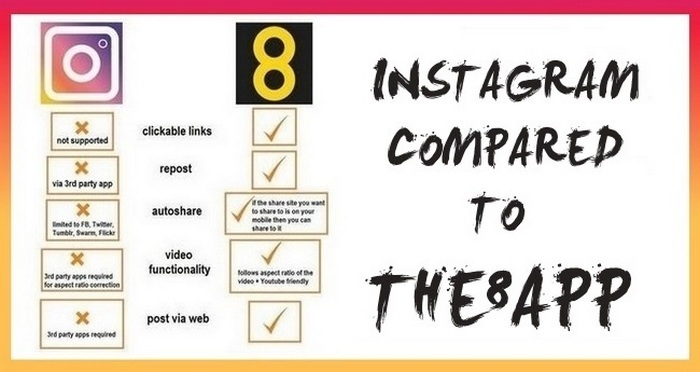 All the missing functionality on Instagram is already built into The8App making your social experience on 8 an incredibly simple process to maintain. The8App is the social startup to watch. 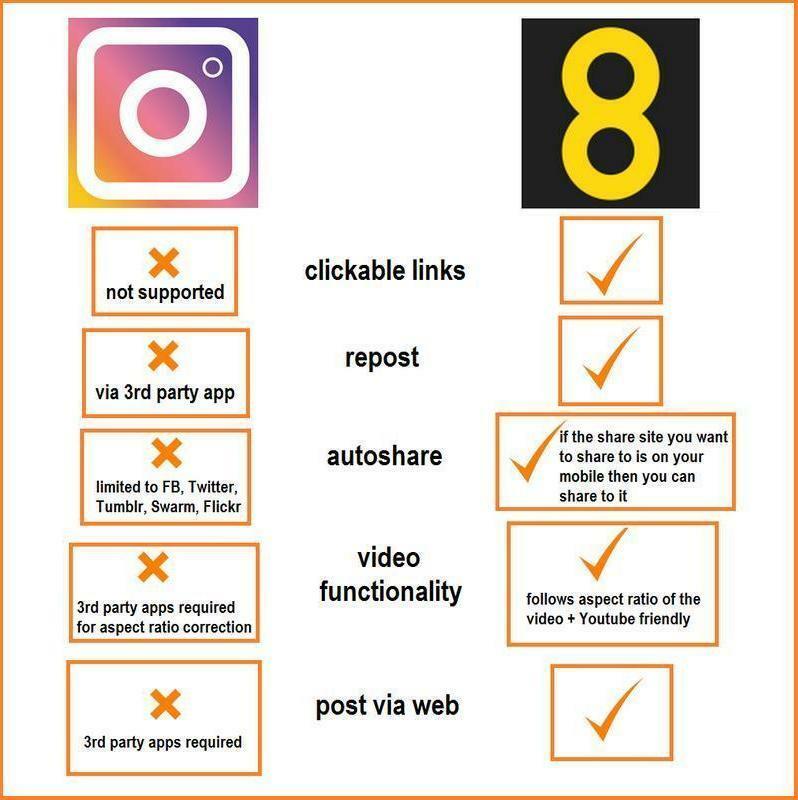 I do think this is a perfect analysis Dexter – but as a whole I hope that #The8app is not competing with Instagram as a pure photo / video site but as true social network that enable people to post photography, video but also written content e.g. blog posts etc. but you are right in all points based on the features both networks provide here or not! Thanks for this! It competes with all socials, this article just shows how limiting Instagram is compared to The8App.